Everyone thought Otto was adorable until he learned a new word. Soon his new word became a big problem. I’m not sure who will get a bigger kick out of this book: kids or parents. As parents, we’ve all been through it. Our kids learn the word “no” and suddenly our happy little camper becomes a contrary, sometimes difficult, little bugger. At the same time, Corderoy respects and understands how the child is feeling. Though Otto liked his new word, at some point it took on a life of its own and made him miserable. That’s when something wonderful happens to turn it around and Otto learns how helpful other words can be. 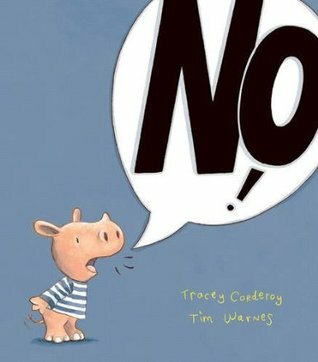 Not only is this book charming and a bit humorous, the illustrations by Warnes are the perfect touch. He captures so many emotions within Otto’s facial expressions. He also has chosen a color scheme that is subtle and warm. If my girls were preschoolers, this is a book I would add to our library.